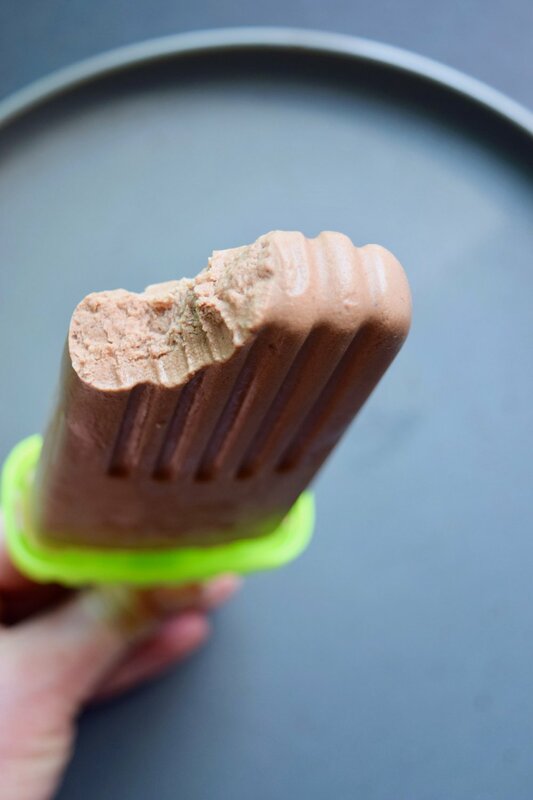 A super sweet and simple treat! Some of my fondest memories of the holidays are making fudge and cookies with my mom. 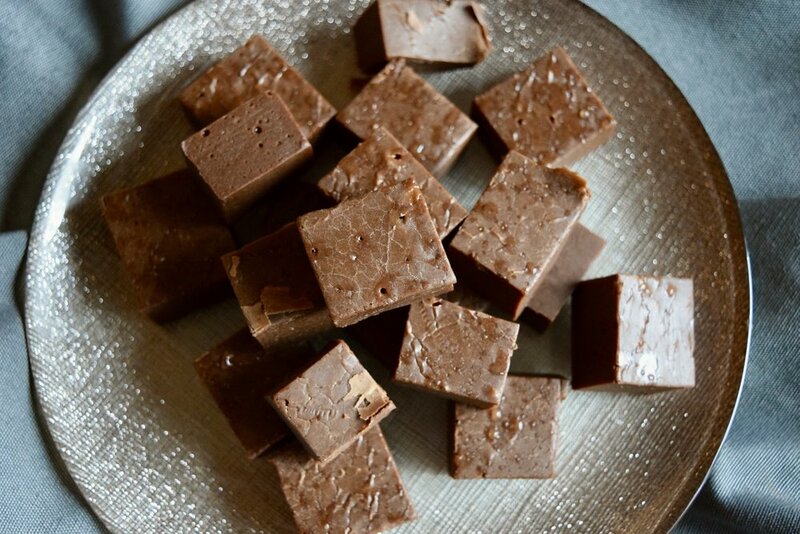 Maybe we only made it a few times, but in my head, Christmas means fudge (and mom’s pastry). Our super secret fudge recipe came from the back of the marshmallow fluff jar— I think it was called fantasy fudge. When I learned how SIMPLE it is to make homemade marshmallows, I knew I wanted to make that fudge recipe, with a few tweaks. Don’t be intimidated by making marshmallow, I promise it’s much easier than it seems. You do need a candy thermometer OR digital probe thermometer that can read up to 240F. Big tip for success— have everything measured out ahead of time. The marshmallow can set if you slack too long and then it’s just a pain to fold in. Okay, ready! Don’t be scared! It’s so fun! 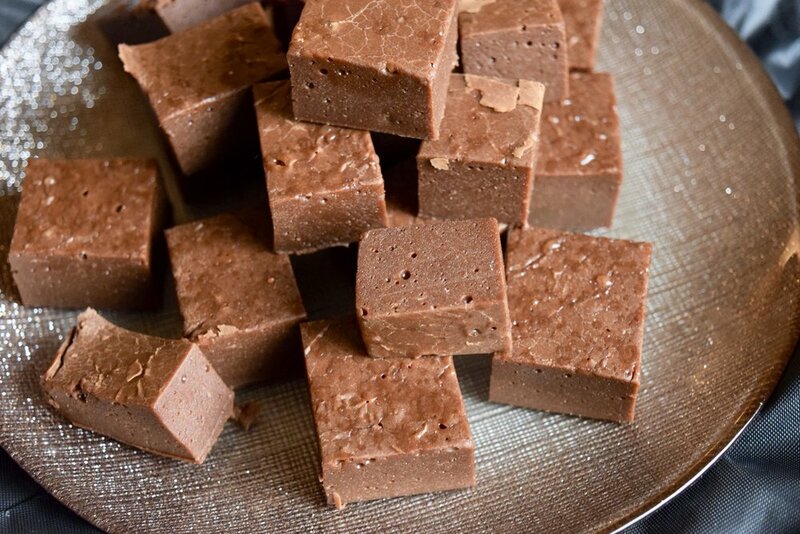 My “paleo” take on fantasy fudge. In the bowl of your stand mixer, add 1/2 cup cold water and 1 tbls gelatin. Set aside to bloom. Add remaining water and 1/2 cup maple syrup to small heavy bottomed pot and bring to a boil. Stir occasionally and cook until syrup reaches a temperature of 240F. Yes. That’s really hot. When syrup is candied, remove from heat and carefully pour into bowl of stand mixer with the bloomed gelatin. Beat on high until tripled in volume, the mixture turns white (this is the coolest part of making marshmallow), and has stiff peaks. Meanwhile, add vanilla, remaining maple syrup, butter, tahini, and coconut cream to the small heavy bottomed pot. Turn heat to medium-low and stir until mixture is thoroughly combined. Cook for 5 minutes. Remove from heat. Fold in chocolate chips and marshmallow cream and stir until everything is melted. You don’t want streaks of marshmallow running through as it will impact the texture. So keep gently folding. Pour into an 8x12 parchment lined baking dish. Allow to cool for 10 minutes. Top with coarse sea salt. Finish cooling and setting in the fridge for at least 2 hours before slicing.